I finally got back to working on the proposal and check in with Mike. His reply back - "Slammed. Will review/revert soon. Sorry for the delay." The terseness of his message reinforces the content. 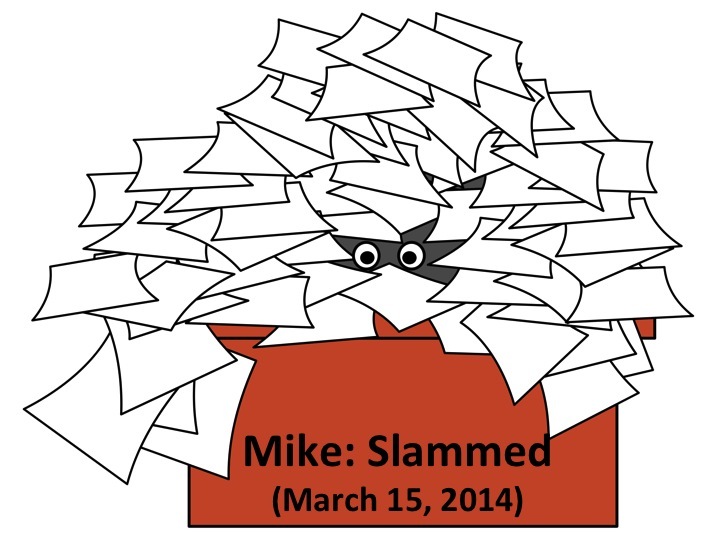 Mike is a workaholic (he would admit so) so I don't doubt for a second that he is slammed on other valuable things. I just find that pushing the ball alone takes a little wind out of my sails. I feel like I am playing tennis with a wall - the only thing I get out is what I put in. The adrenaline I felt in January is kind of running low. I start to wonder if this was a crazy idea after all. No hard feelings, just more like a check back into reality that feels like an adrenaline hangover.